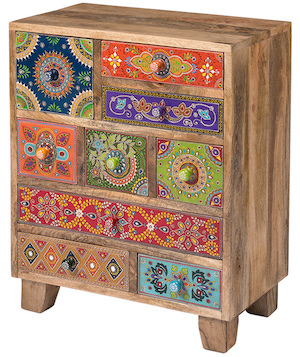 Beautiful, eclectic, unique piece of furniture. Each panel is hand painted to perfection by highly skilled artisans. The Hindi word ‘Sankalaka’ is translated as ‘eclectic’. 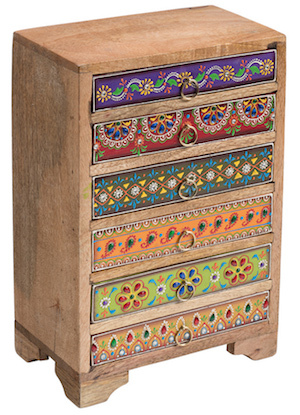 The random applicaton of skillfully painted drawer panels results in this beautiful, eclectic, unique piece of furniture. Each panel is hand painted to perfection by highly skilled artisans.